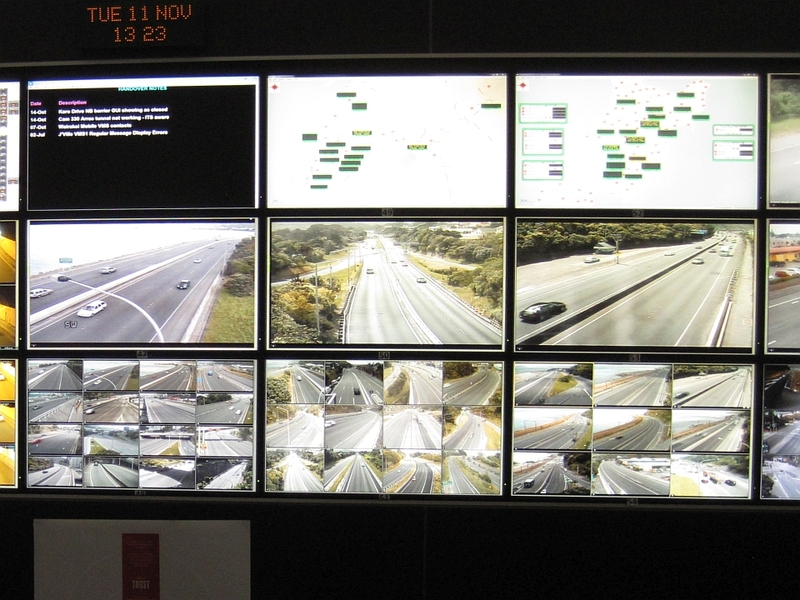 Technology is a key feature of a smart motorway. Being a smart driver is also important. 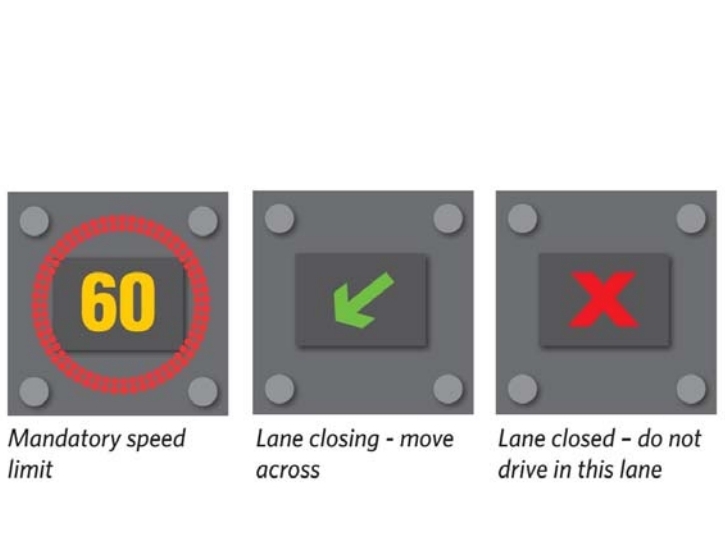 Variable speeds – changing the speed limit as conditions change is at the heart of a smart motorway. Red X – when an incident occurs or work is being carried out on the road, the red X is displayed to close the lane. Green arrow – directs drivers to change lanes. Two emergency stopping areas are to be built on the northbound lanes. The stopping areas will be fitted with sensors, CCTV cameras, and a phone which connects straight through to Wellington’s Transport Operations Centre (WTOC). Operators at the WTOC are alerted when a vehicle stops in the emergency stopping area. They could send a road policing officer to check out the situation. Once a vehicle is ready to leave the emergency stopping area, WTOC operators can use the red X to close the lane allowing the vehicle time to reach the speed of the main traffic flow. 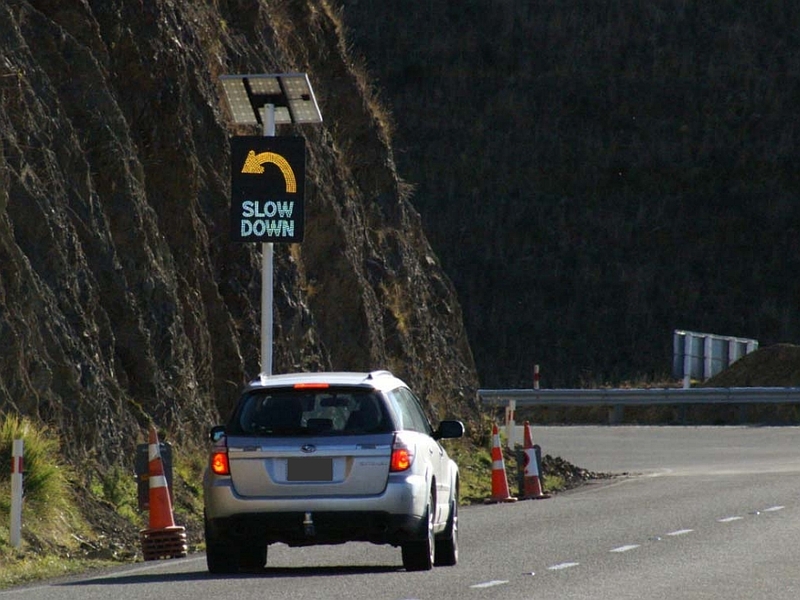 These signs give drivers useful information so they can make decisions about their travel. Keep to the posted speed limit. The smart system works out the best speed to reduce congestion. Going above the speed limit will just get drivers to the back of the queue faster. Minimise lane changes – If everyone stays in the lane where possible, traffic moves smoothly and everyone arrives at their destination sooner. Smart motorways are used in several other countries. You can find out about the introduction of smart motorways in Britain by the British Highways Agency. Design a poster that encourages people to be a smart driver. Lane control signs are square electronic signs with three display options. Image: NZTA. Stopping areas will be fitted with sensors, cameras, and a phone which connects straight through to Wellington’s Transport Operations Centre (WTOC). Image: LEARNZ. 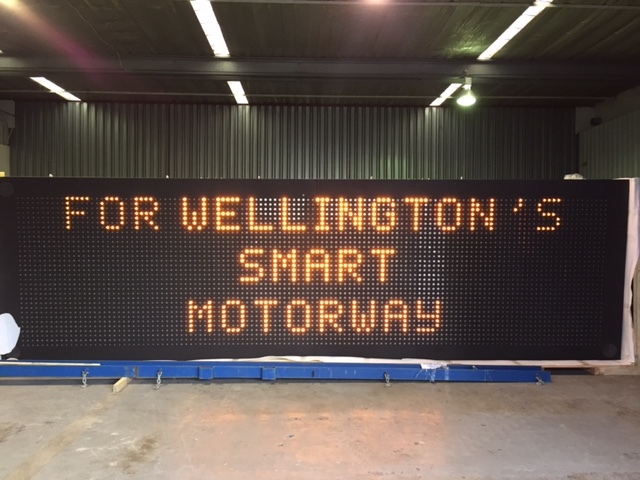 Variable message signs give drivers useful information so they can make decisions about their travel. Image: NZTA. Everyone has to do their bit so all road users can enjoy the benefits of a smart motorway. Image: NZTA. I wonder if LED lights are used in the electronic signs because they are cheap to run and last a long time. If not, I wonder why not? What evidence is there that changing lanes slows down traffic? Have computer models showed this or have people analysed video footage or what?